Huh? We raise our eyebrows. How could this be, when the city runs on secular selfishness? Or at least, secular selfishness drives the creative class and their upwardly mobile professional counterparts to pursue material success and swami-organic “self-actualization.” The traditional mainline Protestant denominations may be mostly dead, making way for the ongoing rise of a new orthodox evangelicalism. But in Manhattan? The truth remains: Megachurches from the Upper West Side to the Bible Belt draw mega-congregations. For Episcopalians, who can’t stomach evangelicalism, the rule is attraction rather than promotion. As empty pews and dwindling parishes testify, gospel-as-metaphor doesn’t attract troubled souls, particularly when the 21st-century’s troubled soul wants to know what’s it got to do with me? It’s not news that yuppies, creatives, and masters of the universe have immortal souls, too. In 2016, it might take a minister like Timothy Keller to remind us what that means. Granted, this is a short piece and so the author may not have had room to dig a little deeper in the Keller phenomenon to see if it is all numbers, success, and orthodoxy. Old Life readers likely are aware that some in the Presbyterian world (okay, me) wonder if the New York City pastor is as fully committed to the orthodoxy of his Presbyterian communion as this journalist assumes. Some of those critics (okay, me) also think that Keller’s cooperation with Baptists, Pentecostals, and other Protestants in planting churches in New York City and around the world not only raises questions about his commitment to Presbyterianism but also demonstrates the tell tale signs of the kind of interdenominational cooperation that turned the Protestant mainline from evangelical to liberal. If you can cut corners with the Shorter Catechism, your successors can cut more than corners — maybe an entire block. Because of Willow Creek’s size, the church’s leaders feel participation in small groups is essential to the spiritual support of its members. And in keeping with its megachurch status, Willow Creek is loaded with specialized ministries for virtually every need among its believers: programs for four age divisions of youth, three categories of single adults, married couples, divorced persons, single parents, and physically and mentally challenged individuals, as well as outreach services to the homeless, the poor, and prison inmates, are just a few of the selections from the church’s huge and diverse menu. Willow Creek’s success has not gone unnoticed. Three times a year, the church sponsors a conference at which 500 church leaders gather to see how it is done. And in 1992, Hybels and his church elders formed the Willow Creek Association—which currently has a membership of over 700 churches—to provide support to other seeker-sensitive congregations. Bill Hybels says Willow Creek is simply following the pattern of the first-century church. In the meantime, hundreds of twentieth-century churches are: eager to follow the pattern of Willow Creek. So aside from questions about Keller or Hybels and their way of doing ministry, what’s up exactly with Christian and conservative readers of journalism? Do we always need to hear the positive and fear any mention of the negative? Faith is about inspiration, not about troubles? That may be what editors think and what marketing reveals. But for a religion that features all those animals butchered in the Temple, the execution of the son of God, not to mention Jesus’ followers clear teaching about suffering, it sure seems odd that secularists appear to handle the dark side of human existence better than believers. Next What Am(mmmeeeEEEE) I Missing? I grew up at Willow, and they basically got rid of the small groups about a decade ago. It was really a shame, since it was actually a pretty good program (from what my parents tell me – I was just a kid). What Willow truly got right back in the day was the connections through volunteering. My dad even took a year off from work and volunteered full time for the church before working for the church (in a paid role) for a couple years. My mom worked in accounting, and my brother worked in the Grounds ministry (he now has a career in landscaping). It was a fantastic organization, but something changed. They went all social justice, and Willow has strayed far from its original mission, values, and format. That conference of 500 leaders a year now reaches over 60,000 leaders worldwide every year. Willow is influencing more leaders than ever, yet they themselves are unsure of what their “way of doing ministry” should be. I worry about the future of Willow Creek, and I for one don’t plan on revisiting that church anytime soon. DG says Do we always need to hear the positive and fear any mention of the negative? Faith is about inspiration, not about troubles? Ali, in a secular forum the strongest thing TKNY would say about homosexuality was that it is “not best for human flourishing.” More vinegar, please. This gets me back to the question of how much influence Keller is really having? People in the PCA love him. TGC loves him, but is there any quantifiable impact we can point to? I know numbers aren’t everything, but what tangible evidence is there that Keller is actually reaching people and leading to Christ people who are so thoroughly secularized that they would likely not darken the door of the church in the first place. I don’t even have anything against Keller in particular, though I am concerned about some things. I just want to know if he is doing anything more than planting churches that attract people who would otherwise go to church anyway. ps.,re: illusion too, even though cats have appeared a lot in recent pictures here…. Ali, you really think faith and repentance is about “knowing and improving ourselves”? Sure you do. You’ve got that pollyanna piety (that loves snark at Old Life – hmmm). Bryan, some might say it’s a relatively short hop from “grounds ministry” to social justice. I think genuinely secular people are converted at Redeemer. I’ve listened to the Easter testimonials and it doesn’t seem the same as what happens at a seeker-type church where (at least in our area) people who would have gone to another church come to the seeker-church because of the coffee or the how-to sermons or simply because it’s so awesome! I could be wrong. douganddana, do converts at Redeemer stop doing serious journalism? Sorry, Zrim, but I’m not seeing that connection. Big trucks, earth moving equipment, large barns, mechanics, and lawn mowers just don’t conjure up an SJW image for me. well, by definition, DG, a pollyanna would find some good in snark. Unfortunately for us meeees, we all know, that the snark of man, like the anger of man, does not achieve the righteousness of God. (James 1:20); only Jesus accomplishes them purely. Bryan, ministry is a narrow category, as in Word, sacrament, and discipline. Making a “ministry” out of a plethora of ordinary facets of creation and personal preferences is a trait of expansivist and cultural Christianity. Gardening today, society tomorrow. DGH – I get your point and I agree with your post – it seems to be part and parcel of the conservative/evangelical subculture to want inspiration rather than information. I was responding to Robert who asked whether Keller was actually reaching secular people or just giving the already-convinced a place to go. My sense of it, having listened to Keller for 10 or more years, is that there is something about his style which speaks to a certain kind of secular person. And I think he has actually had some success in New York reaching genuinely lost people. I think what he does is different from Hybels, who seems to be more fuzzy-evangelical-seeker-pop culture-self help-ish. As to your point about his (lack of) faithfulness to the Presbyterian tradition, Keller has argued for retaining the name ‘evangelical.’ He believes in the concept of ‘evangelicalism’ and he often acts like one! Ginsburg is in a unique position of authority as probably the best-known and most admired living Supreme Court justice. Here’s proof that Scalia is better known that Ginsburg. As a senior at Cornell in 1954, she resembled a sultry Lizabeth Scott or a glamorous Veronica Lake. As late as 1980, she was elegantly tailored, smiling, and chic in her roles as lawyer, professor, and ACLU strategist. Not until 1984, at the age of 51, was she photographed tight-lipped and forbidding in the black robe of a federal appeals court judge. The judicial robe is intended to mask difference between the judges, and Ginsburg has welcomed it as a symbol of unity: “We are all in the business of impartial judging.” But the robes were never meant for women. Ginsburg and Sandra Day O’Connor adopted a wardrobe of frilly and jeweled collars to mark their difference, but even the lacy jabots make her look like the nineteenth-century suffragists whose lacy caps suggested unthreatening femininity when they spoke in public. Notorious RBG includes many full-color photographs of Ginsburg in all her private roles—posing with her husband in her judicial robes while he is wearing an apron; in India in a turban, riding on an elephant behind her friend Scalia; white­water rafting with colleagues in Colorado; and, most spectacularly, as a radiant extra in the opera Ariadne auf Naxos at the Kennedy Center, holding a lovely fan, wearing a white ball gown and a flattering platinum wig. Carmon and Knizhnik also display her status as a cultural icon in sketches by court artists, cartoons, portraits, tattoos, nail art, embroidery, greeting cards, Halloween costumes, and fan selfies. Her willingness to be seen and photographed in playful public appearances marks her as one of the most approachably human justices in recent memory. And by bringing her image into popular culture, Carmon and Knizhnik override some of the generational conflicts in feminism that exclude older women from the community. Isn’t woman as model the way men think of women? What happened to Showalter’s inner Julia Ward Howe? So Keller is an evangelical like Jerry Falwell, Jr.? I mean, you can defend being evangelical at a time when people are jumping off the bus? This is like Roman Catholic apologists seeking converts with Francis as pope. I thought Keller was smart. Marge Gunderson is pretty sunny. Some say banal, others grounded. Norm, maybe, but we wouldn’t know about Marge except for the Coens. When Keller starts engaging them I’ll pay attention. Heck, I’d listen to him if he talked about Woody Allen. Can we get a helping of real Big Apple heeah? Yikes. But the day will probably come when the changing tides of evangelicalism will look upon Keller the way they now look upon Hybels. It depends on if he is trying to strip back the patische of secularism or just adding the patische as a veneer to Christianity in a Willow sort of way. Zrim, I have to disagree with you. At any church, but a large church in particular, landscaping is the first thing people see when they enter the campus. Thus, the Grounds ministry is the “ministry of first impressions.” If a church can’t even maintain the Biblical mandate given to Adam to be a steward of the earth, then why in the hell would anyone think that church is capable of spiritual leadership or fostering spiritual growth. Landscaping can also be a ministry in your definition of the term. While they have paid people that work there everyday, they also get a lot of volunteers, as well as people ordered to do community service by a judge. It is a perfect opportunity to connect with people that may not know God and show them what service really looks like. How is serving others not ministry? It is certainly more of a ministry than sitting in someones house having a “small group” and praying to Jesus Weejus. Christianity is a religion of action. Bryan, right, I’m just coming at it from a Reformed perspective. And from that perspective, it’s hard to see how you can have something against small groups that you don’t against gardening ministry. Why is it okay to spiritualize gardening but not get-togethers, why a “ministry of first impressions” but a “ministry of (what?) hospitality”? Heck, as creative as both seem the latter might have more biblical warrant, but the Reformed definition of ministry still rules it out. You have your reasons but I scratch my head and would rather let both just be without spiritualizing either. Same for general society. One commitment this article seems sound on is that to phariseeism. Zrim, I see what you’re saying now. Honestly, the issue I have with small groups is actually more of a personal problem with them – I’ve had some bad experiences, whereas I had better experiences in volunteer settings. I further believe Christ gave the Church wide freedom in how Christians worship and “do ministry,” but I suppose that’s a different issue. I know I’m sounding really inconsistent in this whole discussion, but my excuse for that partly comes from growing up at Willow while attending a private Christian school that was deeply rooted in Christian Reconstruction (we read Rushdoony’s Institutes of Biblical Law in high school). I’m probably foolishly trying to syncretize these two backgrounds. Bryan, it is a different issue but it’s connected in important ways. What you had originally said was “They went all social justice, and Willow has strayed far from its original mission, values, and format.” But if the original mission included what you concede is perfectly legitimate, i.e. wide freedom to do ministry, then they really didn’t stray so much as play out to a logical conclusion a premise, which is why I say gardening today, society tomorrow. It actually makes a lot of sense. Zrim, when I say “they went all social justice,” I mean they fundamentally changed the way the church worshipped and operated. Their mission was no longer to be a “seeker friendly” church, but rather to essentially atone for the sins of slavery over a century ago. Hybels had a problem with the church being “alright with being all white” (a direct quote from him), so he changed the style of worship to attract a different audience. The problem with that was Willow Creek is located in South Barrington, Illinois, which happens to be a very ritzy/expensive/white area, and most of the northwestern Chicago suburbs are white and hispanic. Willow created “Casa de Luz” to serve the hispanic population with Spanish speaking services in a smaller chapel, which has been a great program. However, during regular services, they changed the worship to a style that a lot of white midwestern folks really don’t like. It isn’t that they have any problem with African American gospel music – it’s just that isn’t their way of worshipping. The number of African Americans attending Willow’s main campus didn’t really change all that much, either, so the music wasn’t even attracting the crowd they wanted. 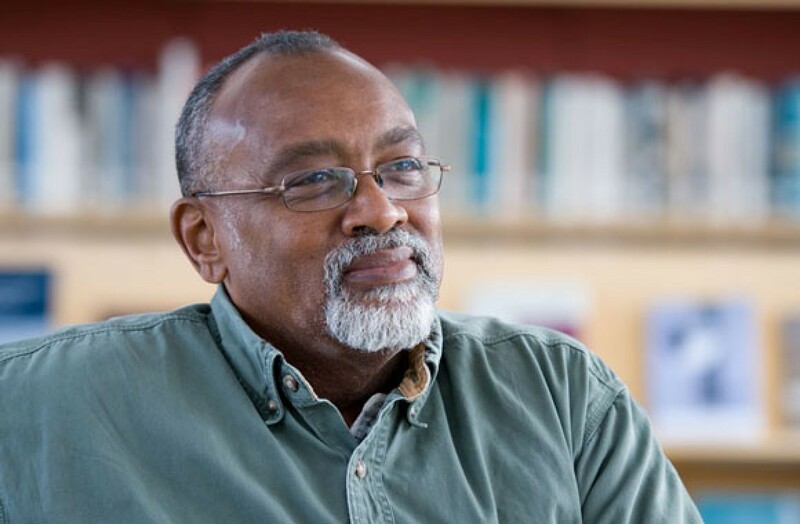 The biggest problem I have with the social justice thing at Willow was Hybels’ connections with James Meeks of Salem Baptist Church in Chicago. In addition to being a “reverend,” Meeks is (or was) an Illinois state representative from Chicago… as liberal as they come. His aspirations were to bring Willow’s money into his church, not to spread the gospel of Christ. That connection with Willow has caused the church to completely lose its focus, which has caused them to lose pastor after pastor over the past 15 years. Gardening today, society tomorrow would have a better impact than their lame attempt at racial reconciliation, even if both are wrong.